As time passes, innovation, technology, and efficiency all exponentially increase and grow. The new 2014 Dodge Ram truck is no exception to that. Its modern design exudes a sleek, metallic, powerful glow. With the advent of technological advances comes an entirely new set of features and qualities that distinguish this outstanding truck and make it shine. 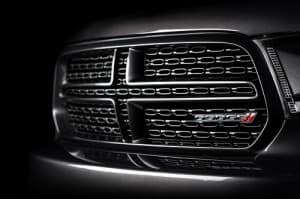 What are these new features and improvements seen in the 2014 Dodge Ram Truck? Primarily, there are several enticing and attractive features in this new model. These include improved and active aerodynamics, more efficient gas engines, and an 8-speed transmission. The reduction of the coefficient of drag has reduced to .36. Moreover, the pricing of this magnificent truck begins at only $24,000. Also, the maximum towing capacity will vary from 5000 to around 10000 pounds depending on the model. Further features include the air suspension system, which can increase the body clearance of the truck off road as well as lower the clearance while the truck is on the road. This allows it better aerodynamic quality and enhances the driving experience. 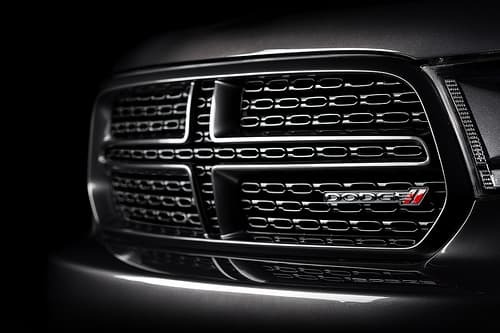 Additionally, this Dodge vehicle includes an active-aero grille and similar technologies all designed to reduce parasitic loss through the drivetrain. These active shutters in the grille mean that the pickup can increase aero when there is enough cooling. This truck also features large improvements in torque, the “turbo-diesel v-6”, a 3.0 liter mill, produces 240 horsepower and a torque of 420 lb./ft. Finally, the truck also features the new Torqueflite 8, an 8-speed automatic. This is available for all three types engines. It’s fuel economy has been improved to above 17 miles per gallon. This is much lower than some other vehicles, but a large increase for its own category. Major improvements in emissions as well as concern for the truck’s impact on environmental quality have been considered and incorporated into the truck’s design as well. For example, a new “capless” system is now used in the pickup, while the Ecodiesel v-6 utilizes urea treatment for emissions. Next, it is also equipped with a diesel oxidation catalyst, a diesel particulate filter, and selective catalyst reduction. Carbon dioxide emission will have been significantly lowered with the implementation of these new technologies. Besides these stunning technological aspects, the 2014 Dodge Ram Truck still boasts the luxurious interior characteristic of its predecessors. Leather chairs and a fancy steering wheel as well as a artistic speedometer display radiate quality. The atmosphere is bright and cozy. Ultimately, the combination of creative technologies, aesthetic, and capability make the 2014 Dodge Ram Truck a strong, dependable option.